The trick is that you don't try to save the actual image, but you create it in little, simple steps. All you have to include in your 64k, is the parameters to those steps, and the code for those steps. This way you can store a texture in about 200 bytes or less. Of course you get more code, but it is really worth it. Let's just look at how a texgen works. In a texgen you work with "layers". A layer is basically a temporary texture. Physically it is just a piece of memory the same size as the texture you want, made up of 3 "channels". And yes, those are R,G and B. And yes, they range from 0 to 255. In my texgen there are 4 layers, but others use 5 or even 6. The amount of layers really isn't that important, but I think 3 would be the minimum. It kinda works like this: First you generate something on a few different layers. Then you distort layer 1 by using the data on layer 2. After that, use layer 1 to distort layer 3 for example. 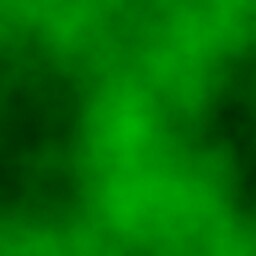 Using this technique you can create a huge anount of different textures in only very few steps. One thing you must take care of, is that all (or most) functions make sure the layers are/remain tileable. The last thing you want is a texture with annoying lines in it. First of all, "Generation". We need to start somewhere, right? Here we put pixels on the layers, so we can modify 'em later. The question is, in what manner do we arrange those pixels then? There are a lot of possibilities, and we shall look at the most basic ones. These are some "generators" that are pretty useful. Now things start to get a bit more complicated. A subplasma consists of 2 parts. First you place a few random pixels at specific positions on the layer. Let's say that at every 8 pixels we put a value (random). Then we just interpolate those at the other pixels, so we nicely fill the layer. value: 132  .   .   .   .   .   .   .   45  .  .
At pixel 0 we choose a random value and that is 132 or something. At pixel 8 we wind up with 45. Now we have to find the values for the other pixels. The proper way to do this would be with use of a spline. It creates a nice curve that looks smooth. One type of spline you could use is the Catmull-Rom spline. We know the values of the pixels at the red dots (!) and interpolate the ones in between. Ok, so you end up with 8 subplasmas. Then what? Well, just add them up! Of course, calculating 8 subplasmas can be a bit slow. :) You could try some alternatives. One is that you don't use a spline to interpolate but just a simple cosine. This eliminates a lot of multiplications you have with the splinemethod, and you can use a table for the cosines. 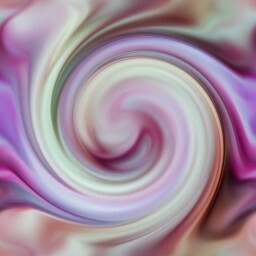 Another way could be recursive subdivision of the layer. Do you remember those colorcycle plasmas from years ago? They divide the layer in 4 pieces, and each of those in 4 others. 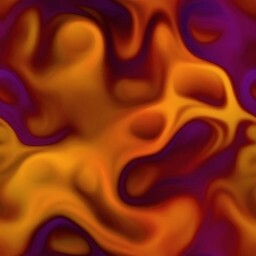 And every time you subdivide you add a bit of randomness. Ok, enough about generation. Let's look at distortion. Once again, I will show a few filters you should have. But first something we need: Bilinear interpolation. The idea behind distortion is that you run over each pixel and assign it another value. That value is another pixel somewhere in the layer, perhaps 3 pixels down and 2 pixels to the left. 0.3 * 0.9 = 0.27 for the fourth. Note that all 4 weights add up to 1. So you multiply the r,g,b of pixel 1 by 0.07. Do this for all 4 pixels, add them up and you have your filtered pixel, easy as that. Problem is that it is a tad slow if you do it like this. You have 4 muls for the weigths, and then 4*3 muls for the r, g, b. 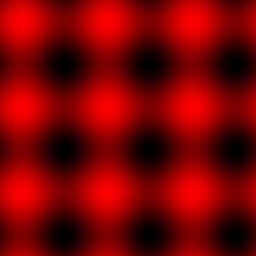 That is 16 multiplications per pixel. Ouch. If you think about it a bit more, you could even do it with 6 fmuls. I use mmx, which I measured to be about 4 times faster than the 16 fpu-mul version. But I suggest you don't worry about speed right now. Just do that when you have your texgen working nicely. Here the offsets where you should grab your pixel are defined by (big shock) a sine. Something like this: For pixel 0 the sin() is 0, so you don't really change it. But for pixel 40 the sin() might be 0.55 or something.  Multiply that value by a constant (this is another one of those "parameters") and grab pixel (x+xoffset,y+yoffset). Here you use another layer to find your offsets. 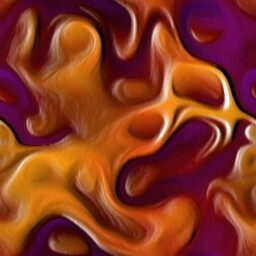 This layer might have been altered by a number of other filters, and this is basically the thought behind it all: Distort something, then use that to distort something else, and so on. You just take either r, g or b from your datalayer, multiply it by something from 0 to 1, and use it as your offset. Really simple. No picture. Color changes can be really cool. Once again a few examples. This is one of the easiest filters around, but a really useful one. For every pixel you say: "r = 255 - r" (same of course with g and b). What the crap is hsv you wonder? Well, it is a colorspace. 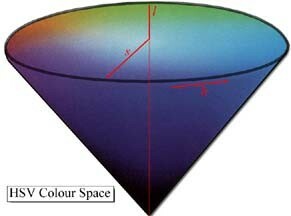 What the crap is a colorspace you wonder? Well, it is a way to define colors. RGB is one as well. But HSV is more complicated and a lot cooler. With HSV you can rotate the colors, while the intensities stay the same. An example: red can become blue, while white stays white, and black stays black. HSV is really nice to finetune the colors in your texture. This picture will hopefully explain a bit about HSV. The further away from the center you get, the "more pure" the color. So red is really red there. If you get closer to the center, the color gets "whiter", so red turns into pink, and eventually white. This is called Saturation. The way to use HSV is this: first you convert from RGB to HSV. Then modify each of the 3 elements, and convert back to RGB. The formulas for the conversions are in the bonuspack. I just copied them from the graphics programming book by Foley & van Dam. Oh, this one is so simple: r=sin(r). Most of the time this looks really ugly, but sometimes it is way cool. Just mix 2 layers. But make the filter in a way you can say things like: 80% of layer 1 and 20% of layer 2. One variation of this filter uses a datachannel to decide those percentages. When the value is 0 you use 100% of layer 1 and when it is 255 you use 100% of layer 2. Well duh. Make sure you use saturation, or your colors may over/underflow. For example: "240+60=255", and "33-80=0". Of course the normal blur, but you could do many different kinds. 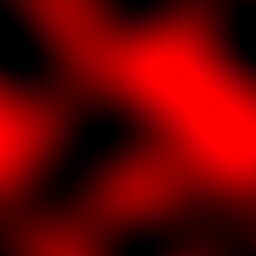 Things like motion blur, gaussian blur or my personal favorite, the directional blur. 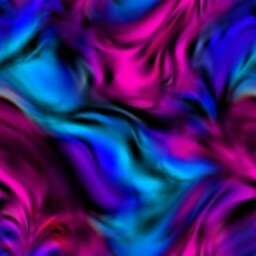 This one looks at a datachannel and then determines the direction to blur in. If the value is 0 it grabs a few pixels directly above the pixel you are at. If the value is 64 it looks directly to the left. Use a datalayer to shade your texture. We do it like this: If the datavalue is 128 then you have your normal color. But if it is 255 the color will be white. 0 is black. Shading is a great way to add some variety in your texture. Imagine the middle "0" is your pixel. Then you look at the 8 surrounding pixels, and multiply each by its value (-1, 0 or 1). Add these up, and add 128. So now you have an ugly mess of colors. What you should do with this mess is use it to shade your texture. The 3x3 matrix is the one used in photoshop, but experiment a bit with different values! You could even use 5x5 or bigger matrices. You can store logos or fonts as textures too. Just take a 2 color picture and store it 8 pixels per byte. This is 8Kb per picture. That's rather big, but after compression you won't notice it that much. So you just have that picture on a layer somewhere, ready to be distorted or given some color. Imagine you have a colorful texture on layer 1, and the logo on layer 2. If the logo is black and white, you can multiply layer 1 by layer 2, and voila, you have yourself a colored logo. 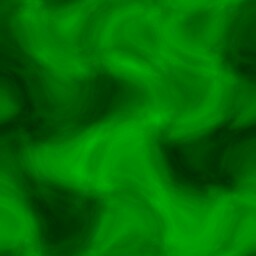 If you have some of these filters, you should be able to make some pretty cool textures. 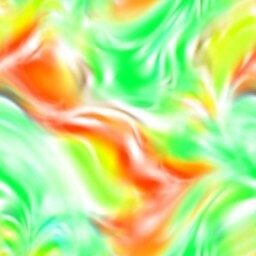 The more filters you have, the more possibilities for cool textures of course. Also don't limit yourself to the ones I explained here. Try to invent some of your own. The phase is used to determine where the sine "starts". 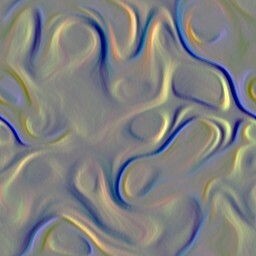 The Invert filter has just 1 parameter: which layer. But we still store it in 9 bytes. The reason for that is that you can easily add another parameter to a filter, without affecting older textures. If you have any questions please feel free to email me. If you don't have any questions also feel free to email me.